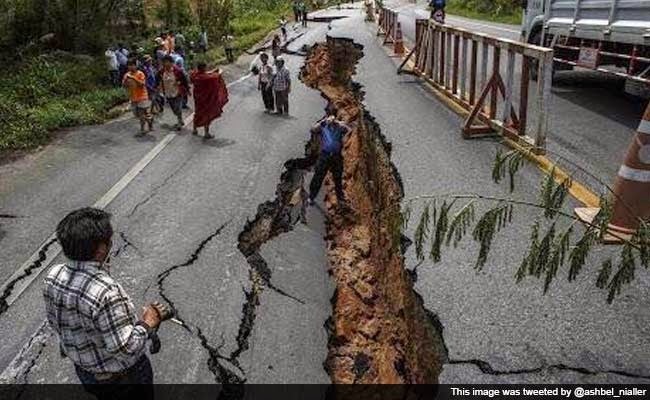 Are you looking for Donating Money or Relief fund for Nepal Earthquake? Here is some ways (we have collected different ways) where you can donate and add your contribution for Nepal earthquake Relief Fund. There are different ways you can make your contribution, but here is some genuine ways, where you can make donation, which will surely going to help people affected in Nepal with this huge earthquake. One can always donate money in Prime Minister National Relief Fund, where the money will be directly spend for people affected with this natural disaster. Just login at https://pmnrf.gov.in/, fill the form with amount to contribute and the payment gateway. you will be asked for your Pan Card no, you will get transaction id, and all other detail after payment. Also, All contributions towards PMNRF are exempt from Income Tax under section 80(G). Since lots of people use PAYTM to recharge their mobile phone, here you can also donate to PAYTM on behalf of PMNRF. PMNRF portal has limited payment gateway, in case you want to use any other payment method, you can use PAYTM and contribute to Nepal Earthquake Relief Fund. You can contribute From Rs.10 to 1000 via Paytm. One can also donate it via WFP (World Food Programme). Just go to this link now and contribute for Nepal Earthquake affected people. 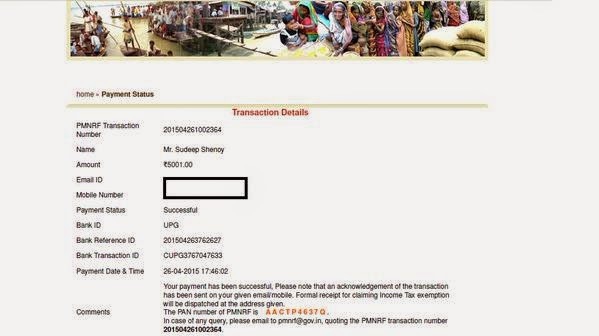 In case not RSS, you can also contribute or make donation online via Facebook. Just click here and Make your online donation via International Medical Corps. On 25th April, 2015, Nepal felt the biggest and a devastating 7.9 magnitude earthquake has killed hundreds in Nepal. Now, Nepal people starving for food, cloths, medical treatment, water. you can help and contribute by this way to rescue operation.